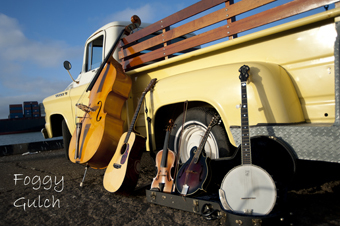 Foggy Gulch explores crossroads where musical traditions intersect, the junction of country and bluegrass, bluegrass and rockabilly, folk and rock. With Eric Hughes on guitar, Jenny Robinson and Kim Carey on vocals, Steve Lowery on banjo, John Milton on double bass, and Becky Bart on fiddle and mandolin, the band has a followup album to their 2007 debut "Fogged In," called "Dance with Time." It features traditional covers like "California Stars" and "Wildwood Flower," as well as compelling and catchy originals. The band also promises at least a few never-before heard originals at this show! Swoon is a musically diverse bunch that brings together a wide range of influences to create a seductive blend of hard rock, classical, funk, jazz, world, and a dollop of rhythm and blues. 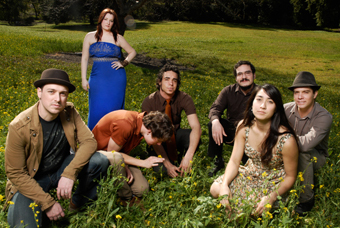 The band features Stephanie Harwood on vocals, Julian Fill on guitar, Kater Murch on mandolin and cello, Todd Snyderman on drums, Joey Nunez on guitar, and Scott Dunbar on bass.